This is a post I´ve been wanting to write for a long time. Even though I hurt my hand badly yesterday and it really hurts, I wrote this today. I feel like it has been waiting too long to be written. Also I have a lot of fun things planned for you, which I´m going to post very soon, like the Nomination for the Versatile Blogger Award (wait, what?!? I´m so thrilled about it) as well as some posts on my stay in the Cinque Terre. Happy Halloween & Thanks to over 100 Followers! Sure you can, the book sounds pretty cool and interesting. And thanks for asking, I appreciate it! …there is a power that comes from the computer or the pen and paper that draws me in magically and makes me want to write, write, write. …there are so many things I write inside my brain, that if I hadn’t written some of them down, my head would’ve exploded. …my fingers want to write what my soul wants to say. 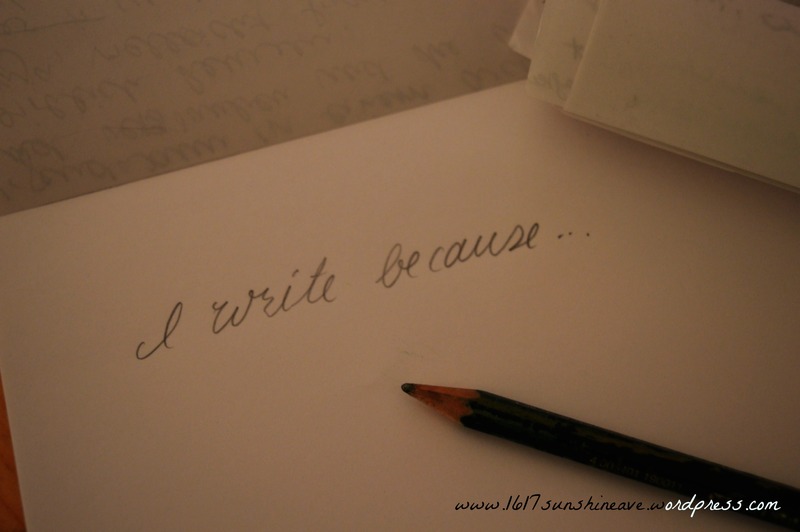 …when I write I feel like I´m using my time right. …being able to intricately put together a string of seemingly random words to create one cohesive thought is like an adrenaline shot to my spirit. …there is no one to tell me that what I write is wrong, because it’s what I´m thinking and feeling and that’s not wrong, it’s my opinion. …in my opinion words can heal, as well as destruct. …words are powerful and when they are used right they can achieve great things. If that’s okay, can I grab your name, age, and country, or just let me know if you want to be anonymous. Hey me again, just checking if you got my reply as I need your details asap so I cans tart the final edit. Feel free to email them if you prefer: wordslikesilK@gmail.com. I wrote you an email. So sorry it took me so long to respond. No worries. Thanks so much. Sent one back.